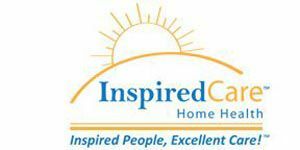 Inspired Care Home Health provides Professional, Affordable, and Client Centered Care to seniors. We are dedicated to helping seniors continue to experience the richness of life. Therefore, we take time to understand your needs and then customize a care solution that’s right for you. We use latest technology to track our caregivers in real time so you don't pay when Caregiver is late. Plus, your approved family members can login to our system anytime to ensure you are getting the right care. Our Caregivers are totally committed, highly qualified, and carefully selected individuals who are thoroughly screened, background checked, bonded, and insured. Your safety is our utmost priority. So we offer FREE Medical Alert Device to help you during emergencies when no one is around. It would be our pleasure to provide a FREE In-Home care Assessment and understand your situation better to get you the most Inspired Care. ASK US ABOUT 'FREE CARE FOR LIFE' IF YOU ARE A VETERAN.